Eastern Star Yacht Charters Featured on The Rita Cosby Show! 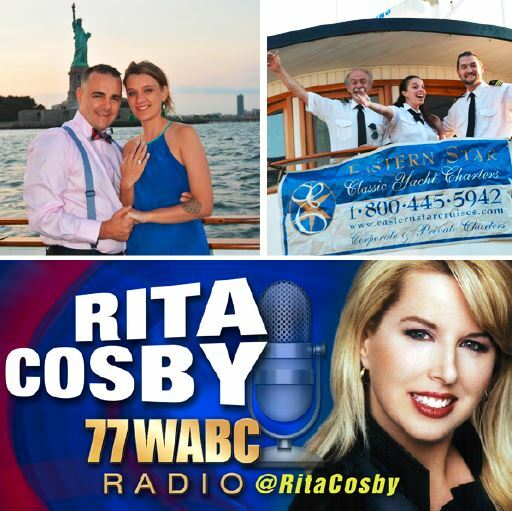 If you were listening to 77 WABC Radio this past Sunday (July 17, 2016), you may have heard mention of the Eastern Star on The Rita Cosby Show! We were were secretly chartered to assist Gregory Fryc in planning his romantic New York Harbor proposal to his fiancée Anna. Fryc surprised Anna, with a tour of New York Harbor—and right beside the Statue of Liberty—the Eastern Star paused for a breathtaking sunset proposal. 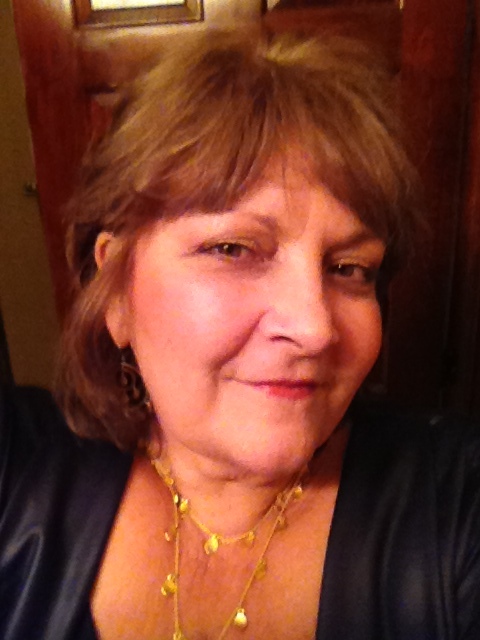 According to Cosby, “…it was one of the most beautiful proposals I have ever seen, almost like a scene out of a movie. Fryc is not the first prominent New York City figure to plan an event with the elegant Eastern Star. We have also hosted exclusive private functions for celebrity guests including Leonardo DiCaprio, David Letterman, Wendy Williams and Billy Crystal. From engagements to weddings, birthday parties and corporate events, the Eastern Star has hosted it all. Our classic, Hemmingway style interior and spacious upper dining deck decorated with palm trees and ambient lighting offers the perfect atmosphere for intimate groups and parties from 10 to 80 guests. To learn more about Eastern Star Yacht Charters and plan your next event, please call 1-800-445-5942. Interested in listening to Rita Cosby’s fascinating interview with Robert Kennedy Jr., and the rest of the show? Click play on the video below. You can hear the Eastern Star segment if you scroll to 37:38.